Samsung's latest Android flagship has also undergone some gold-plating treatment thanks to a company called Goldgenie. those of you with unlimited money can buy the quad-core edition of the phone for £1700 here, which isn't that much more expensive than other luxury Android smartphones around. Goldgenie has also done the Galaxy S4 in platinum and rose gold. Additionally, you can opt-in for the black or white version of the phone to serve as base. 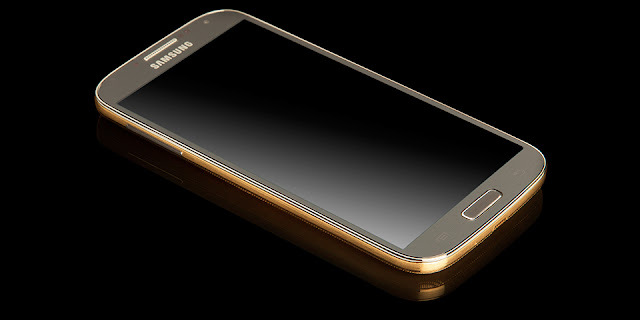 The gold-plated Galaxy S4 is SIM-free and only the 16GB variation is offered.